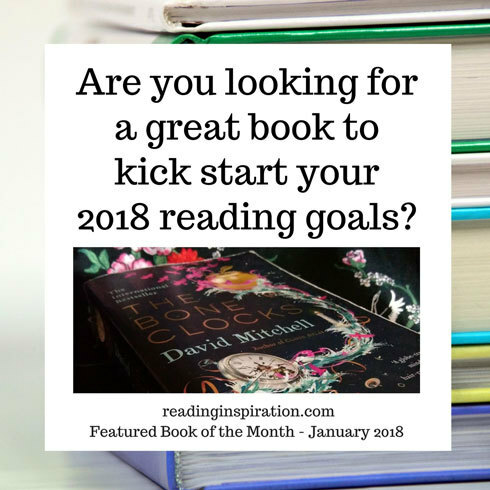 >> Are you looking for a great book to kick start your 2018 reading goals? Happy new reading year! Here’s hoping your 2018 reading will be packed full of exciting new books and adventures. This year I will be continuing to share reading recommendations and tips for children and grown-ups. However, I intend to explore books in more depth. I’ll be choosing one featured book for grown-ups and one featured book for children per month to explore fully. In January my featured book for grown-ups is The Bone Clocks, which is an incredible and engrossing read. Sometimes modern life can be a really exhausting rush to keep up with all things new. It can be good to take a step back from that. So, in this blog I often recommend books which are not new releases. There are worlds of other books to explore and enjoy too. One of the things I love about reading is that it can take you out of the daily rush. It can transport you to a different world altogether. So for my 2018 reading, I am not going to worry about keeping up with the latest trends. Instead, I am taking my time and really savouring my favourite reads. Now, to get back to my featured book of the month. The book itself is perhaps contrary to my intention of slowing down. One of the very exciting aspects of The Bone Clocks is the way it takes the reader on an intense and exhilarating adventure through several decades. It could be a great start to your 2018 reading if you are looking for a challenge. Six segments make up the narrative of The Bone Clocks, which take the reader from the 1980s to 2043. Shifting between locations that include Gravesend, the Alps, Columbia and Ireland, the story unfolds through the perspective of different individuals. At times the events that the characters are involved in seem mundane and everyday, at times they are breathtakingly dramatic. Mitchell’s writing style is enchanting as he advances the narrative by delving into the thoughts of his characters. The sections of the story in The Bone Clocks do not always seem to be connected to the whole narrative. Readers of Mitchell’s other books will be familiar with his skill for telling stories which may at first seem unconnected. But in the background of these seemingly separate stories, familiar characters intervene in each other’s narratives. Meanwhile, a mysterious and grander narrative in which each character plays a part, is gradually revealed. If you enjoyed Mitchell’s other novels you might also enjoy noticing the connected characters and themes which the author is creating. Across all of Mitchell’s books, characters reappear in others to create an intriguing and wider world to form the backdrop of his novels. Characters, themes, organisations and even a cat from Mitchell’s other novels crop-up in The Bone Clocks. Fans with a keen eye for detail will notice many connections. In fact, Mitchell’s narrative is even grander than just the six stories of The Bone Clocks. Mitchell confirmed this in an epilogue to The Bone Clocks. With his many cross-over characters and themes, all of his individual novels are part of a larger volume which he refers to as The Überbook. Although each novel can be read and appreciated as a stand-alone work they are all connected within a wider narrative. Taken on its own The Bone Clocks is an incredible, intricately involved read, with interlocking threads gradually bringing together the fates of the individuals involved. 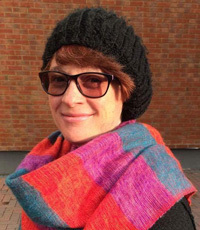 The story begins with 1980s teenager Holly Sykes. Her impulsive runaway adventure seems to be a nostalgic coming of age story. But then events take a horrifying and surreal turn. Amidst the unfolding narratives, many characters are drawn into a war between two immortal factions. They are often unaware of the conflict that shapes their futures, taking place in the background of their lives. Through individual dramas including a lost child, an author’s revenge on a harsh critic and a war correspondent dealing with survivor’s guilt; the narrative drives on to a showdown between the mysterious Horologists and Anchorites. After being set in recognisable historic and current times, the narrative jumps forward into a future world and into the genre of speculative fiction. It takes a dystopian turn as scarcity of resources have made day-to-day life a precarious struggle to survive in the 2040s. Considering this turn of events within the perspective of Mitchell’s wider project; the changing world connects to the authors gloomy vision for the future of humanity depicted in Cloud Atlas. But don’t feel that if you haven’t read Mitchell’s other novels that you can’t read and enjoy The Bone Clocks. With Mitchell’s non-linear writing style you can read them in any order and allow the bigger picture to emerge at your own pace. The Bone Clocks combines elements of different genres. If you enjoy coming of age fiction, the gritty realism of war, and you don’t mind all that getting mixed up with fantastical and speculative fiction then this could be the book for you! Do you have plans for your 2018 reading? What kind of books are you looking for? 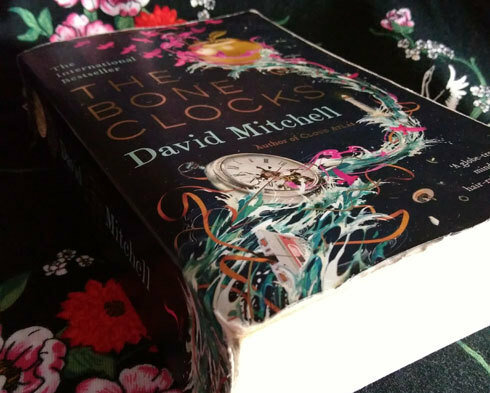 Have you read The Bone Clocks or other works by David Mitchell? What did you think? Share your thoughts in the comments below. I look forward to hearing your thoughts on The Bone Clocks and more.